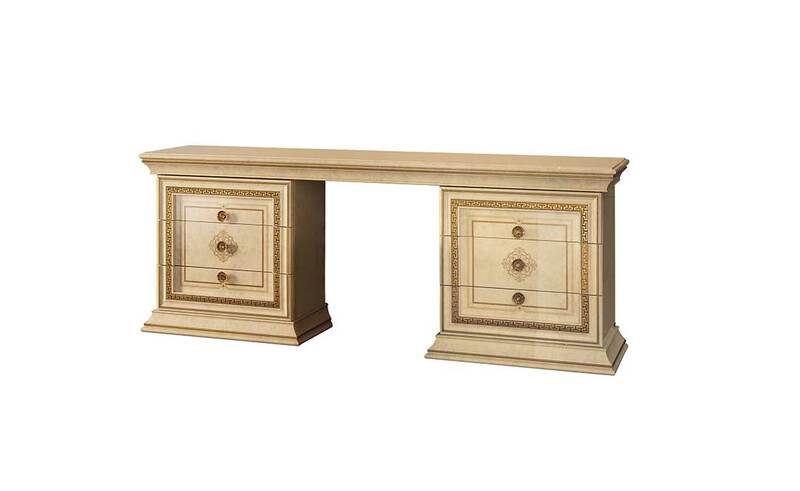 The Leonardo dressing table stands out for its regal composure. A simple piece which manages to transmit all the grace and monumentality of the Italian neoclassical style. The golden frames add texture to the glossy surfaces of the drawer finish and no sparkle evades the large mirror which dominates the composition, making this corner of your house even more airy and sophisticated. Opting for a pouf with simple and elegant forms rounds off the selection of accessories.